I think the title says it all, it's absolutely freezing out there today, and to add to the title I am listening to the song while writing this, I'm a sucker for Christmas songs. We took a visit today to the Battlesbridge Antique and Craft Centre, it was cold, oh so cold, but oh so very pretty indeed. It still wasn't too cold for the swans though. Beautiful and so elegant. How gorgeous do those fields look in a frosty blanket. The centre was quiet, I think most people had decided to stay at home in the warm, they obviously had more sense than we did. However it meant that it was nice and easy for us to have a mooch around all the buildings looking at the antiques and crafts, without loads of crowds to contend with. We were even blessed with some snow, albeit only for 10 minutes. I started my festive flower arranging course last night, with my mum. 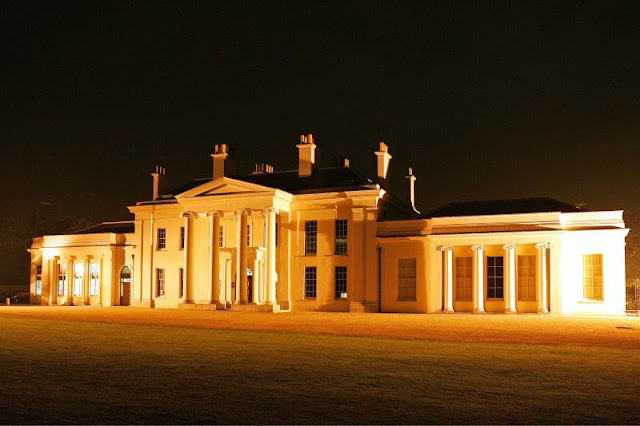 It is a 4 week course, a total of 8 hours held at Hylands House in Chelmsford. It was a slow start but well worth it. I really enjoyed it and learnt so much, which is always a good thing. To top it off, I think this could well be something I am good at. I'm so proud of the end result, especially for a first attempt. 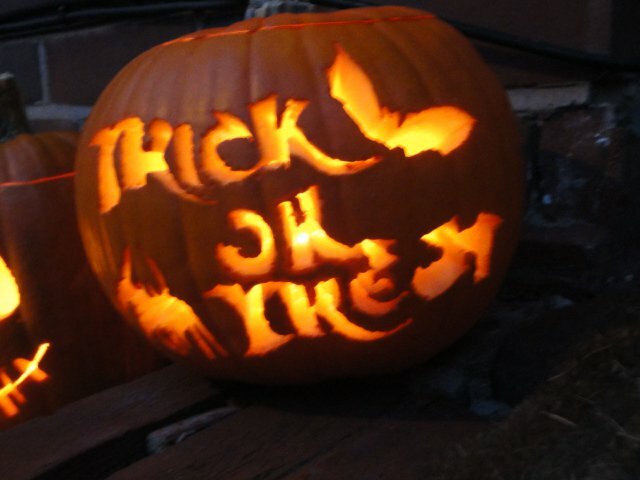 As you can see it is quite a simple design but one that can be amended to any occasion or time of year. We opted for a subtlee approach this week as we felt it is just a little too early to be getting too festive around the house, but that time will come, just wait. It seems like so long ago now that I visited the fair, but oh what a time I had. As I'm sure you will work out for yourselves over time, I absolutely LOVE Christmas, and I cannot express my excitement to you that there are only 47 days until Christmas, yes only 47. The smell as you entered the fair was absolutely gorgeous, a real mix of spices and Cinnamon. As soon as I stepped through the main doors my eyes lit up like those of a small child on Christmas morning when they see all their presents for the first time. I didn't know where to look or where to go first, there just seemed to be so much there. It was a great day spent admiring all the stands and starting my Christmas shopping, plus a great way to gain some decorating inspiration for the festive season. 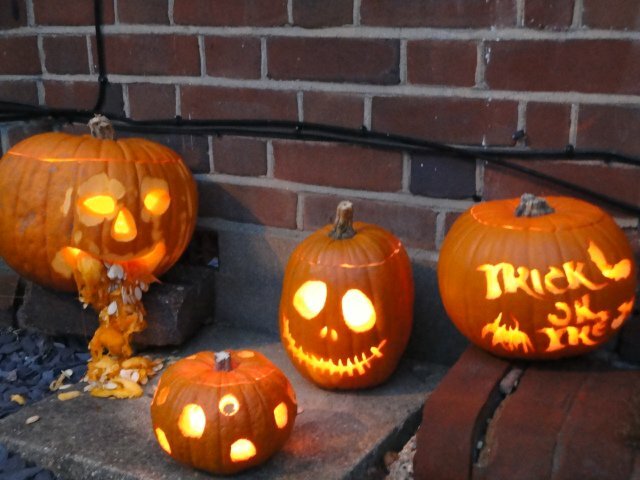 I have been busy over the past week with my build up to Halloween with lots of lovely activities to mark the occasion. It all started off on Wednesday evening with a Jack the Ripper walk through London with some work colleagues. It was a very interesting evening and I actually learnt quite a lot which is even better. The start of our walk. 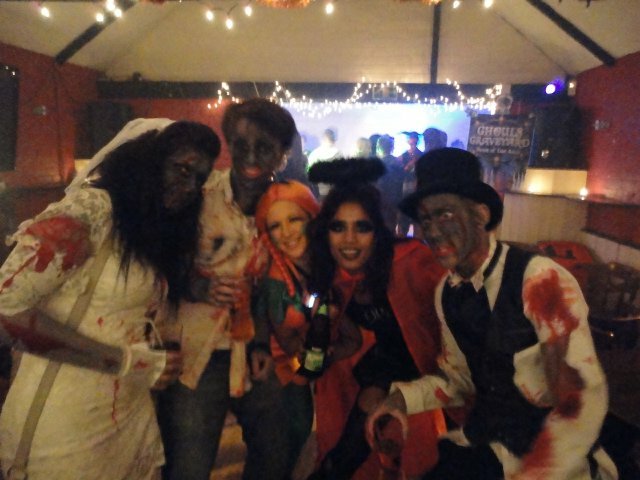 The celebrations continued Friday evening when I held a Halloween Disco, with a friend, as a fundraiser for Macmillan Cancer Support﻿, it was a great night and helped to raise over £500. The costumes were absolutely amazing and everyone made a real effort. 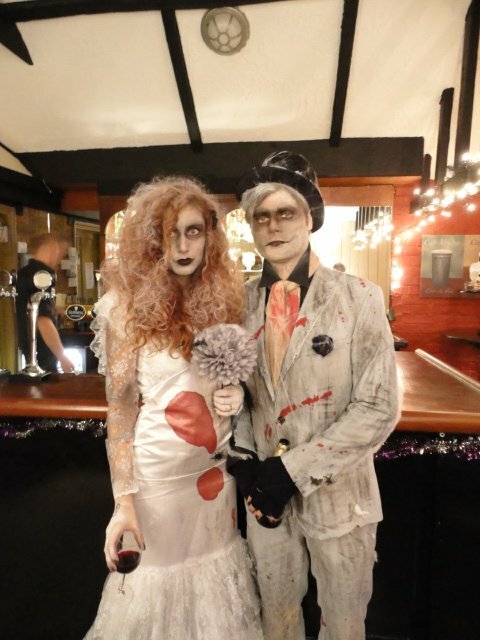 Saturday night was another fundraiser this time a quiz night themed Halloween. We raised over £400﻿, so within a weekend we have raised just over £1,000, AMAZING! 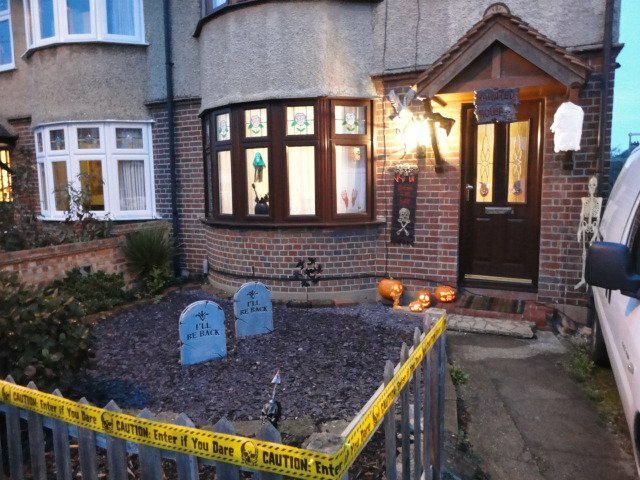 Then Sunday was when all the fun really began, Halloween at last had arrived and I began decorating our front garden for the occasion, and carved just a few pumpkins. We were in-undated with trick or treaters, we had so many in fact that I ran out of sweets, and had to crack open a tin of Quality Streets meant for Christmas. O well, the trick or treaters couldn't go without.